above/ground press: the chaudiere books 2014 (our rebuilding year) indiegogo campaign! the chaudiere books 2014 (our rebuilding year) indiegogo campaign! 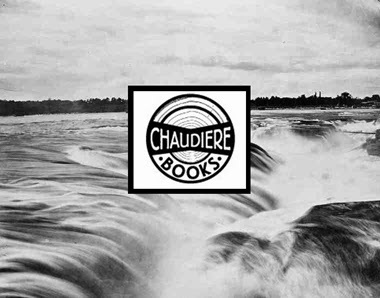 In case you weren't aware, Chaudiere Books exists as the trade extension of above/ground press (given that both are edited/published by myself), and we're in the midst of a big Indiegogo Campagin as part of our rebuilding year. Rebuilding, re-structuring and renewing the press since last summer, when Christine McNair became the other half of the press, we're two titles into our renewal (the Ground Rules anthology, and my recent collection of short fiction), with three more this fall: a second Chaudiere poetry title by Ottawa poet Monty Reid as well as first trade poetry collections by Ottawa poets Amanda Earl and Roland Prevost (all three have had multiple publications over the years through above/ground press), with a first title by Kemptville poet Chris Turnbull due out sometime in 2015. If and when you are able, go through the incredible list of perks by a variety of Chaudiere Books authors, including the recent documentary on John Newlove, signed first editions of David W. McFadden titles, and subscription packages, including a joint above/ground and Chaudiere package.